Avdiyivka was pounded by heavy artillery. Russia-backed Donbas militants carried out 78 attacks on the positions of the antiterrorist operation (ATO) forces in Donbas on 6 Feb, wounding one Ukrainian serviceman. They pounded Avdiyivka with 152-mm artillery, tanks, 120-mm and 82-mm mortars, grenade launchers, heavy machine guns and small arms. Enemy mortars fired on Troyitske, Verkhnyotoretske, Kamyanka, Luhanske, Opytne and Zaytseve, the ATO HQ said in its 7 February update. In the Mariupol sector, the militants attacked Bohdanivka, Novohryhorivka, Lebedynske, Vodyane, Hnutove, Shyrokyne and Maryinka with 122-mm guns, grenade launchers and mortars of various calibres. Shyrokyne was targeted by tanks, Maryinka by an infantry fighting vehicle while Novotroyitske was attacked with heavy machine guns. 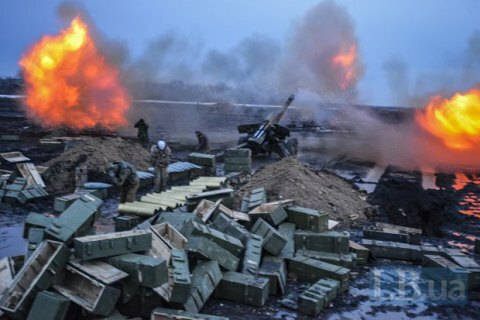 In the Luhansk sector, they shelled Krymske with 122-mm artillery, mortars and grenade launchers. Zhovte, Krymske and Novozvanivka came under tank fire. On 5 February, six Ukrainian soldiers were wounded in Donbas, no fatalities were reported.